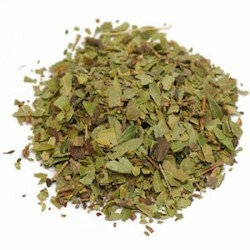 Uva Ursi is a low growing evergreen native to North America, Asia and Europe. It is also commonly referred to as bearberry, because its bright red berries are a favorite of bears. It supports a healthy urinary tract. Safety Information: Not to be used during pregnancy. Not to be used by persons with kidney disorders, irritated digestive conditions or conditions of acidic urine. Not for prolonged use unless consulting a health care practitioner.